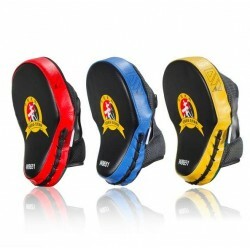 Martial Arts There are 5 products. 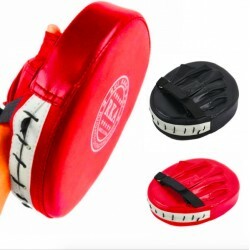 Foam padded nunchuck with chain. Light and fast. 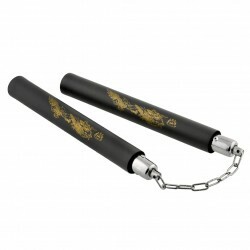 Martial arts - karate training nunchucks. Material: plastic, foam, metal. Total length: ~ 67.5cm / 26.57" Chain length: ~ 18.5cm / 7.28" Stick length: ~ 24.5cm / 9.65" Stick diameter: ~ 3cm / 1.18" Please select a color.